Mobile gaming fun. Thanks to the LTE Cat 4 module, the top model can be used for gaming on-the-go anywhere. In addition, Nvidia doubled the flash memory, which worked significantly faster in our test model. 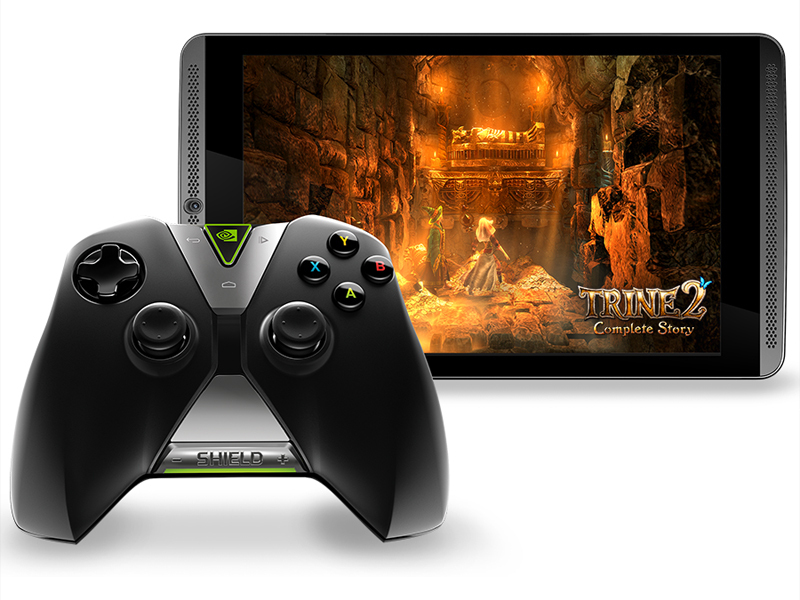 The Nvidia Shield Tablet LTE P1761 is a next gen portable gaming device crammed into the all familiar tablet form. At first glance, the Shield looks like any other tablet with its full black chassis, block-form with very subtle curves. The Nvidia Shield Tablet LTE P1761 is equipped with an Nvidia Tegra K1 192 Core Kepler GPU, a 2.2 GHz ARM Cortex A15 CPU and 2 GB RAM. The setup is powerful enough for portable gaming and even Nvidia GameStream, which allows PC games to be streamed onto the tablet. The user will be interacting with an 8 inch 1920 x 1200 Full HD display with multi-touch capability. The LTE version only comes with the option of 32 GB storage. Users will be happy about microSD support for increasing memory. Other features are mini-HDMI out, Bluetooth 4.0, GPS with GLONASS, dual-band WiFi, and a DirectStylus 2 with 3D Paint application. Any software updates will directly come from Nvidia as the Shield uses customized software. The most notable feature is the ability for the Nvidia Shield Tablet LTE P1761 to use a Shield wireless controller making it console-like. The battery output is rated at 10.75 Wh.